“I had called upon my friend Sherlock Holmes upon the second morning after Christmas, with the intention of wishing him the compliments of the season. He was lounging upon the sofa in a purple dressing-gown, a pip-rack within his reach upon the right, and a pile of crumpled morning papers, evidently newly studies, near at hand. Beside the couch was a wooden chair, and on the angle of the back hung a very seedy and disreputable felt hard-felt hat, much the worse for wear, and cracked in several places. A murder under the Christmas tree! And a murder under the Christmas tree! 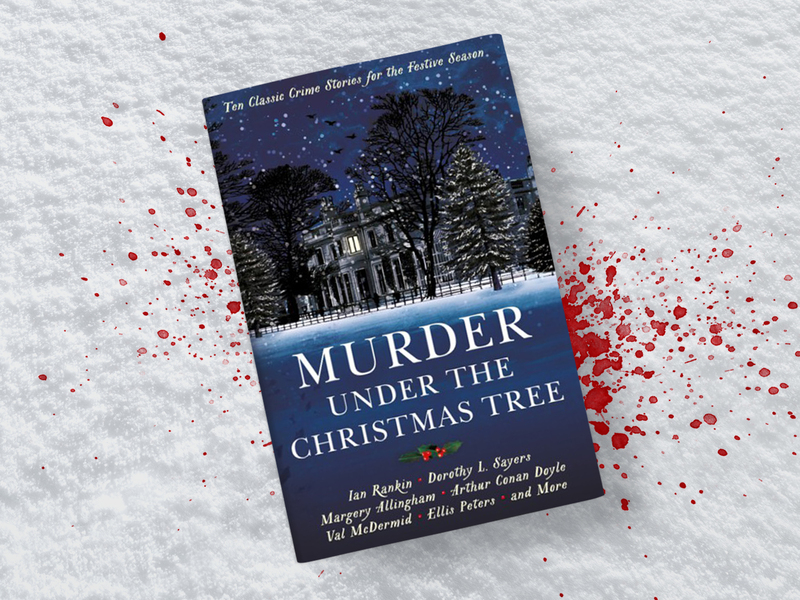 Murder Under the Christmas Tree features cosy crime stories from Dorothy L. Sayers, Edmund Crispin, Val McDermid, Arthur Conan Doyle, G.K. Chesterton, Ian Rankin, Ngaio Marsh, Carter Dickson, Margery Allingham and Ellis Peters. A nice quick read for lovers of locked-roomed mysteries and golden era crime.